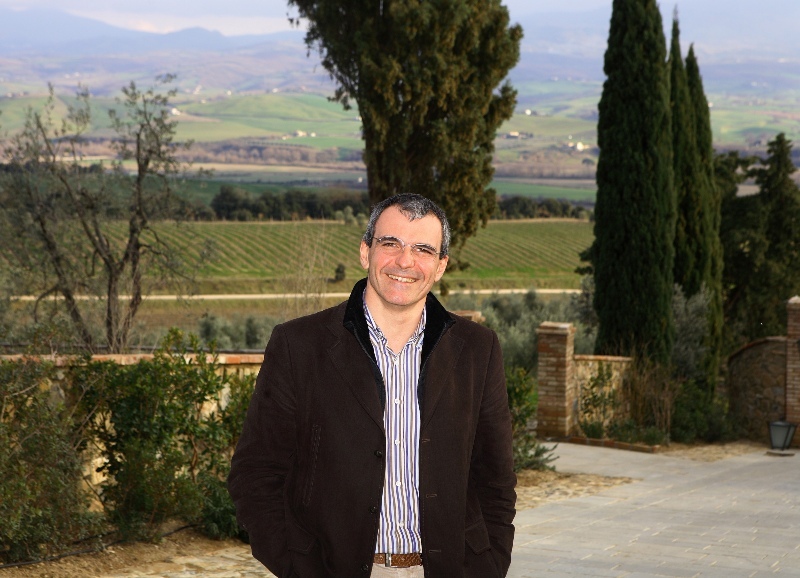 Driven, dynamic and purposeful, but with a quiet calm that almost portrays ambivalence, the gentlemanly Enrico Viglierchio has helmed Castello Banfi since 1998. 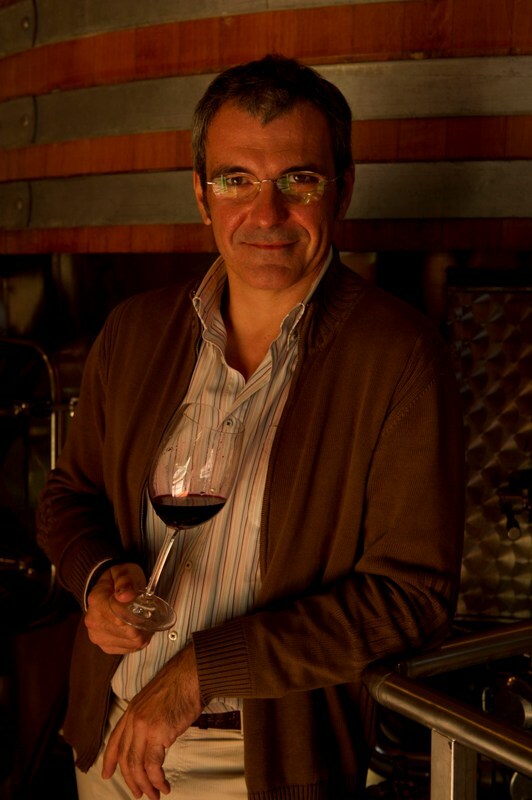 In his role as General Manager of the estate, over the last 18 years he has overseen some of the most dramatic developments in the estate’s history including the completion of Castello Banfi’s renowned clonal research project and the development and implementation of the winery’s patented hybrid oak and stainless steel fermentors. Recently, I had a chance to sit down with Enrico over a casual dinner where we tasted Castello Banfi’s soon to be released 2012 Brunello. Over the course of the evening, the discussion touched on many topics and we’re excited to bring this exclusive interview to you! Ciao Enrico, welcome to Tuscan Vines! Piacere Giovanni, grazie a te! Let’s start with the wines in front of us. I remember loving the 2012 Rosso di Montalcino that I tasted at Benvenuto Brunello as they were being released. The Brunello seem to have picked up where the Rossos left off. 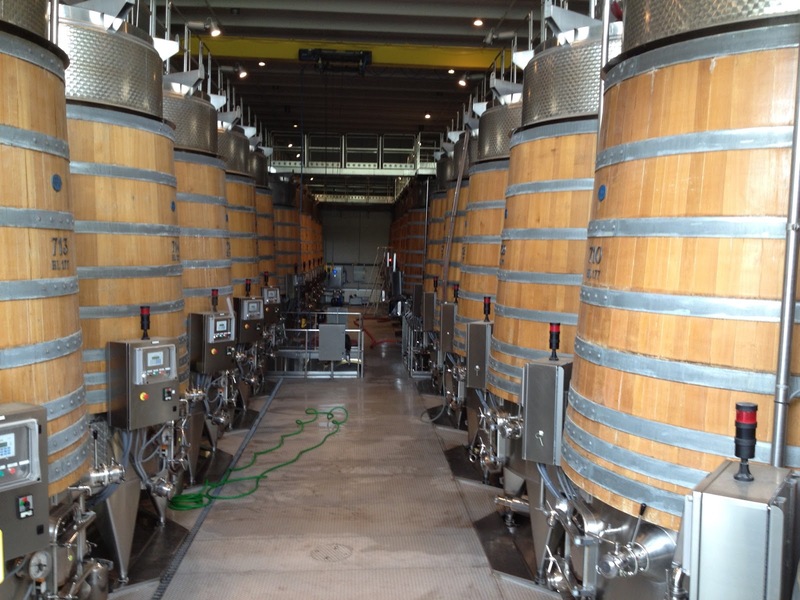 What can you tell us about the 2012 vintage? Va bene, grazie. So much is being said and written lately about organic and biodynamic viticulture. What do you think of those practices and is anything like that planned for Castello Banfi? This is a very complicated issue Giovanni and it’s certainly not black and white. I think a lot of the decision making around these movements really comes down to Technology vs. Marketing. People drink wine for pleasure. It’s something that first and foremost has to taste good! Organic grapes come first. You cannot produce organic wine without first growing organic grapes. So, vineyard management is the first step in the entire process and that determines how you can proceed. Organic doesn’t mean healthy and it also doesn’t guarantee a quality wine or even a wine that is good for the environment or for the health of the land. Respect for the environment is the most important thing! This supersedes everything and is much more important than whether wine is organic. What good is it to produce an organic wine if the tractor you use to plow the fields or sow cover crops is 30 years old and spews pollution when it runs? Organic farming can lead to elevated copper build up in soils which can greatly effect the balance of the soil and the health of the vines. Natural, healthy vines produce natural healthy grapes. What is the point of organic farming if you waste glass in bottle making or strip the land of water. Heavy bottles have to be shipped all over the world! Do you know how much water is used to make glass? At Castello Banfi, we nurture the land and the vines the best way we know how. Many of our processes and methods would be considered organic but we’re not certified and we don’t need to be. We’ve limited water usage as best we can in the production of our bottles and we work to produce the best, strongest, bottles we can while minimizing the weight and the amount of glass used. We take care of the environment and it will take care of us. That’s really the bottom line. I hope my readers find that as interesting as I did. Clearly there are a lot of factors to consider and many I’ve never thought about. So, what’s coming from Castello Banfi? What do admirers of the estate’s wines have to look forward to? I think first and foremost what you are likely to see are less and less Castello Banfi “Estate” wines and an increase in site specific and single vineyard identity wines. We are fortunate at Castello Banfi to have vineyards with different expositions, altitudes and soil types. We undertook our clonal research project, not just with Sangiovese, but for other grapes too, to identify which plots and vineyards support which grapes best. The Poggio Alle Mura Brunello, Brunello Riserva and Rosso di Montalcino are just the beginning. I think this will continue. This is like the issue of sub-zoning Brunello then. Are you in favor of that? Yes, I am. I think it can be done without adding confusion for the consumer, but it has to be done in a way that makes sense. I don’t think their should be a “classico” Brunello zone, but I think it’s good to call attention to single vineyards that have unique character or to put the name of a site specific area on the label. How about some of the “hot trends” that seem to be appearing across the Tuscan landscape. I am seeing more and more producers creating wines in Amphora and in Maremma, it seems every vintage brings another designer Syrah that costs $100. What is it about Syrah that makes them so expensive? Giovanni, I think Amphora wines are ridiculous. Again, this is just marketing. We have all the knowledge that’s been gained, even in just the last 30 years, about making cleaner wines, caring for the vines and the vineyards, cellar hygiene and maintenance, not to mention improvements in technology. Why in the world would we go back to making wine like they did 1,000 years ago? It’s a silly proposition. I think the same is true about Syrah to a certain extent. Producers may charge what they want to and create the impression of a superior product, but there is nothing intrinsically expensive about Syrah. It grows well in Maremma but it’s like a pair of jeans. The denim will be exactly the same but you put a designer label on it and that’s the only reason why it sells for more money. I recently published a large article on the completed 2016 vintage across Italy and Tuscany. 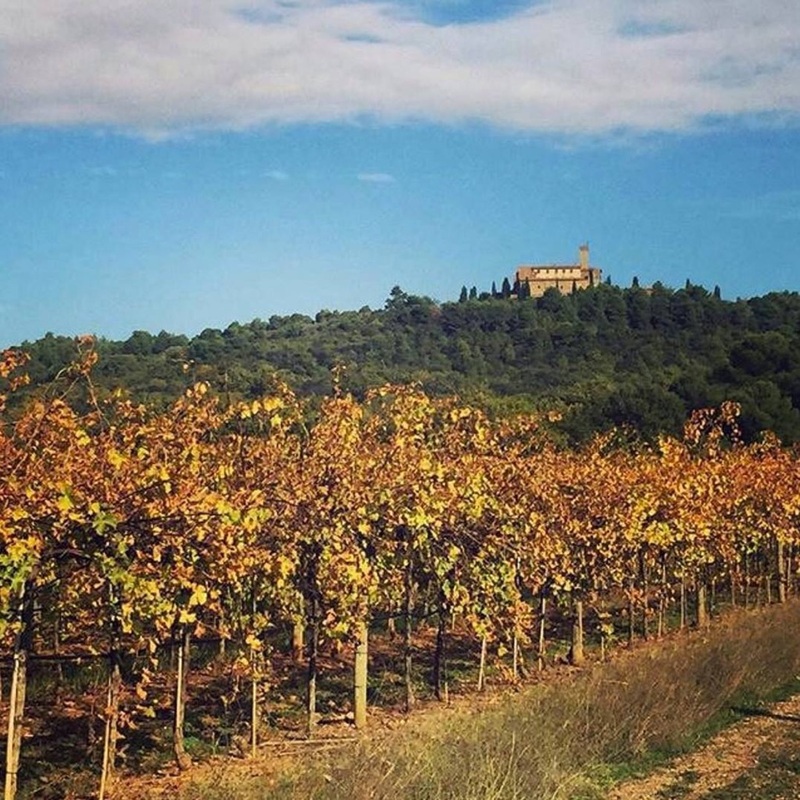 What early impressions can you share after having just completed your 18th vendemmia at Castello Banfi? Can you compare the vintage to another at this early stage? It is early, for sure. The summer saw some heat spikes, but nothing too dramatic. The vines adapted well. Vines don’t like to be shocked. Just like people. You can tolerate hot weather or cool weather if it presents itself gradually. Vines too. They don’t like dramatic swings. In September there was some concern about how the vintage would finish. We were a bit nervous. It turned humid, which can cause rot and mold issues and it was a bit rainy. But the weather really improved toward the end of the month and into October when we harvested Sangiovese and Cabernet. Overall, it was a slightly cooler year but the wines show nice acidity and are rich in color and aroma. I think it will be a very solid year overall. Not like 2010 or 2015. Maybe closer to 2013. And what about you personally? Where are you from originally and what do you like to drink when you’re not enjoying Castello Banfi’s wines? I was born in Savona in Liguria, home of true pesto, which must be made with only the small basil leaves Giovanni, never the larger ones. Now I live in Grosseto, so I am close to Castello Banfi. As far as wine, I enjoy wines from all over the world, not just the classic Italian wines, but French and of Napa Valley too. Enrico, thank you so much for your generosity and your time. I truly appreciate it and when you return to the United States next, we can continue our discussion. Grazie Giovanni, and thanks to your readers and for your site. Salute! John, very interesting and informative article. I can imagine it was a very memorable dinner. i am looking forward to trying their 2012 Brunello. Cheers Joe. Thanks as always for your comments.